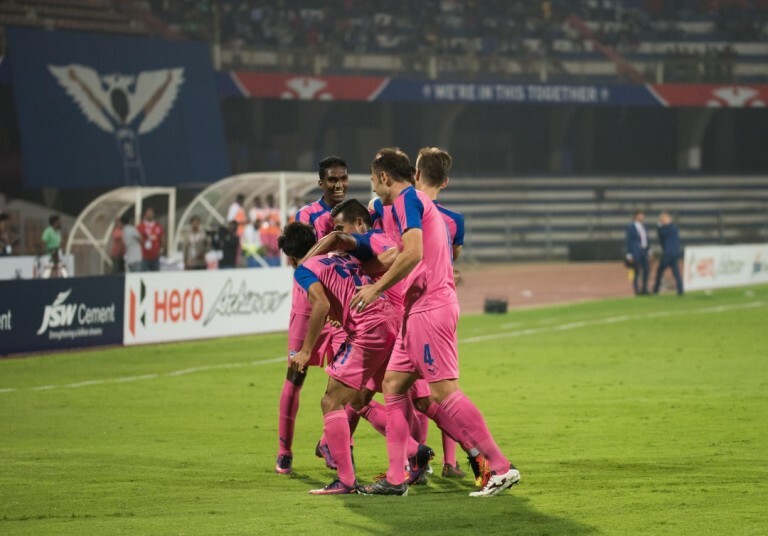 Bengaluru FC were in a bullish mood prior to this game when Albert Roca announced that it was a fresh start after their historic 2015-16 season. 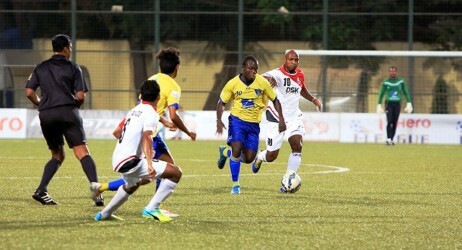 What followed was a resounding 3-0 win for his team over a Shillong Lajong side who just did not turn up for the tie. Both teams went into this game using a 4-2-3-1 system with Daniel playing the lone striker for Bengaluru FC and Fabio Pena for Lajong. While Lajong’s shape morphed into a 4-4-2 while defending and a 4-2-3-1 while going forward, Bengaluru were more adventurous while attacking with a 3-1-4-2 system. Cameron Watson dropped back into central defence with Lenny Rodrigues as the midfield screen. Ralte and Khabra provided the width with their bombarding runs forward. Chhetri and Lyngdon drifted in the central zones to make use of the spaces created by Udanta and Khabra’s runs in the right side. Lajong on the other hand had striker Tlang who dropped to a wide right position to keep an eye on Chhetri’s runs. 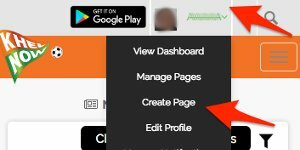 Chhakchhuak moved forward to support Pena. It took both teams 15 minutes before a chance was fashioned. Interestingly it was the visitors who had the first shot on goal as a free kick from the right side of the field was headed wide. The home side had a chance of their own when Ralte’s cut back found Cameron Watson who had burst forward and his chip over the defence found Chhetri who was bundled down by Ignat. The Blues wanted a penalty, but the referee waved play on. Lajong attempted to disrupt Bengaluru’s play by asking their centre back pairing of Ignat and Konsham to stick close to the striker Daniel who constantly looked to drop deep and play in Udanta and Khabra. 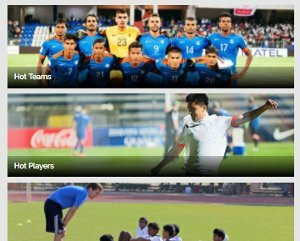 With Bengaluru dictating play, it only seemed a matter of time before Lajong caved. And it happened in the 25th minute as a Bengaluru attack led to a scramble in the Lajong penalty area. The industrious Udanta Singh however latched onto a falling ball and lashed home to give the Blues the lead. Roca’s men clearly found some confidence after this as they poured forward in numbers and created chance after chance. 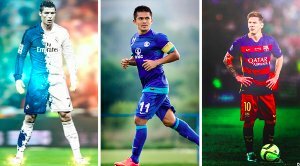 Sunil Chhetri found space outside the box but his shot was easily saved by Kaith. Eugeneson Lyngdoh was the first one to go into the referee’s books as his tackle on Yuto Kinowaki was deemed a yellow card offence. Lenny Rodrigues was almost made to pay when his weak square ball found a Nongbri, however his weak shot drifted wide of the goal. Lenny’s next pass was one with more conviction as his cross field pass found Chhetri on the left who slipped through the onrushing Eugeneson. However the attacker’s shot was saved by Kaith. Chhetri and Lyngdoh were carving the Lajong defence open with their intricate one touch play, but they were unable to aid in doubling Bengaluru’s lead. 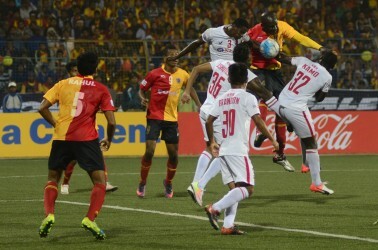 The Steelmen had a glorious chance to double their lead just before half time when the ball dropped kindly to his feet after Lajong failed to deal with Udanta’s teasing cross. The skipper almost stopped in time as he measured the shot but could only aim his shot at the keeper. But the danger was not yet over as Eugeneson Lyngdoh followed up with a curler from the rebound only to see his shot hit the post. The half time interval could not have come sooner for the visitors as they headed into the break with only a 1 goal deficit. The half time interval saw the home club launch a video to pass on a message on respect towards women following the New Year’s Eve incidents against women in the city. The visitors looked to hit back after the interval, but it was the home team who kept the pressure up. Chhetri slipped into the box unmarked and his shot was saved by the keeper. The trouble for Lajong was not over as the Blues looked to double their lead when Ralte pressured the opposition full back to lose the ball. His pass into the box however was not converted as Chhetri connected with air. Bengaluru FC players celebrate the opening goal against Shillong Lajong at the Sree Kanteerava Stadium, in Bengaluru, on Saturday. Chhetri turned provider as his chip found Lyngdoh who slipped his marker in front of goal but could not keep his shot down. Thangboi Singto had seen enough and hauled off Yuto Kinowaki for Jacob Lalrawngbawla in the 59th minute. The change did not have the desired effect as the Steelmen continued to boss the midfield. Lajong had a brief foray into the opposition half when Tlang’s cross looked for Pena but could only find Amrinder. 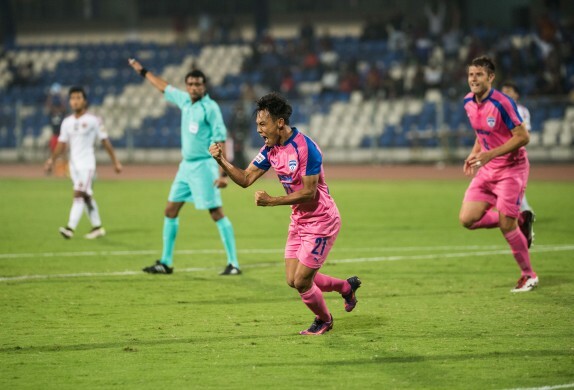 Albert Roca’s men were immediately on the attack again as Lyngdoh received a cross field ball from Ralte and slipped through Udanta who could not beat the keeper with his lifted shot. However, the winger was not to be denied in the 67th minute as he intercepted a arrowed pass from Lenny, pulled back to deceive his marker and volleyed home. It was a testament to the 22 year old’s tenacity all evening. Singto brought on Cameroonian striker Aser Dipanda to force the issue.Udanta was again in the thick of the action as his teasing right side cross was pushed over the bar by Kaith. Roca attempted to add salt to the wound by bringing on CK Vineet for the impressive Daniel Lalhlimpuia. The change had the desired effect as Vineet brought physicality to the frontline now. A botched clearance by the Lajong defence was latched on by Bengaluru full back Sena Ralte whose thunderous left footed shot beat Kaith in the 79th minute. Roca rang in the changes as Chhetri and Udanta made way for Alwyn George and Mandar Rao Desai respectively as they closed out the game for a well –deserved win. Man of the Match : Udanta Singh.